Take the opportunity to create larger shipments and save even more money with freight storage options from Central Wisconsin Prep Pack & Ship of Greenwood, Wisconsin. Our business model gives you the chance to place shipments on hold until more products are ready to go. Due to sporadic product sourcing and shipments, we understand that product consumer demands can leave you in a difficult and costly position. 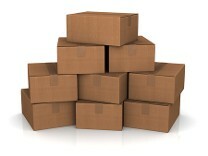 If it is no longer cost-effective for you to prep and ship your own product let us fill in. Whether you do not feel like fulfilling your own orders or you prefer a third party's help, we are here for you. Contact us to learn how our freight storage options give you more control as a product vendor.